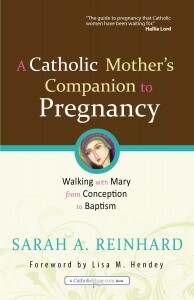 My new book, A Catholic Mother’s Companion to Pregnancy: Walking with Mary from Conception to Baptism, has launched. That’s all exciting, but let me tell you what really has ME excited. I have a graphics team that has created the BEST. CARICATURE OF ME. EVER. I will keep quiet about the fact that there is no horse in it, because I am NOT a farm girl diva. (Well, not TOO much.) 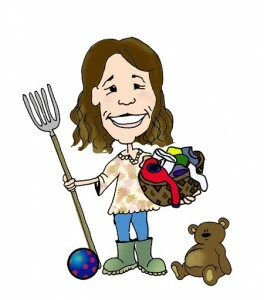 The teddy bear COMPLETELY makes up for that small oversight on their part, and the pitchfork? Brilliant. Today, we’re starting the opening prayers to the rosary we’ll be praying together as part of the book tour. It’s not the book tour yet, not until tomorrow. 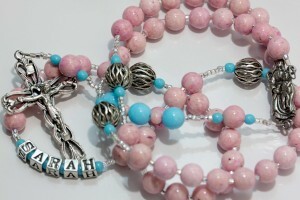 But I couldn’t bear to start a rosary without the opening prayers. They’re the stretching before your exercise, you know? Each day of the tour, we’ll be meditating on a mystery of the rosary together and praying the decade. There are 20 totally awesome incredible hosts, and I’ll be updating both here and at CatholicMom.com. Which is a way to say that not only will I probably be blogging once a day, but I’ll be blogging a link each day to the book tour host. 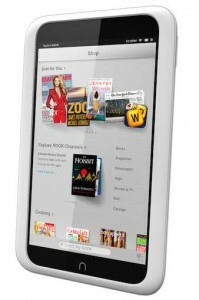 …one of the brand-spankin-new Nook tablets? Yes, that’s right: pray a rosary, win a Nook. You can enter once a day until October 28. MY BOOK IS AT TARGET!!!! I announced on Facebook and Twitter that I would give a prize to the first person who sent me a picture of it in Target. 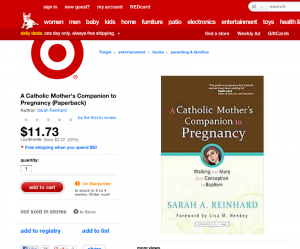 @peerybingle Target.com is saying not sold in stores. 🙁 Tell them to fix that so I can go see your book! But still, it’s pretty cool that Target.com is carrying it. AND you can find it in Barnes & Noble stores, your local Catholic bookstore, and online in any number of places. Which has inspired a companion contest I’m going to announce tomorrow. 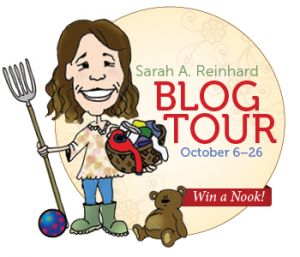 So tune in, when I’ll not only link you up to the rockstar kick-off of the blog tour, but also tell you how you could win yet something else. 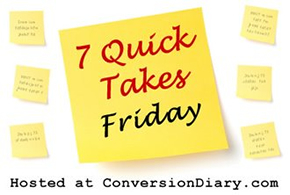 Be sure to pop over to Conversion Diary for more Quick Takes!